My first game ever, that is finally 'playable' =D I name: X-Tra System! 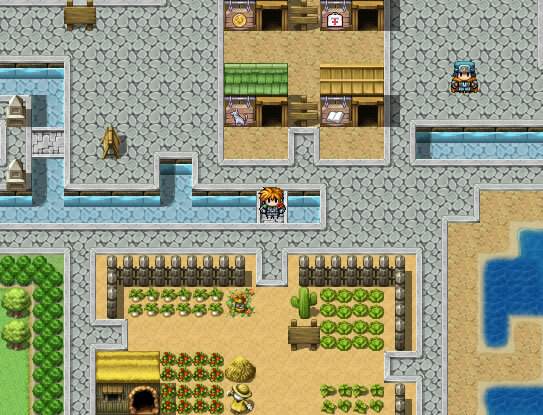 I actually started playing with Game Maker at first, which I didn't really get how it works, then RPG Maker 2003 before passing to the XP version which was way more likely especially in graphics and of course more powerful tools. And that's how I started making my own game, X-Tra System, while learning how to use that software. I tried my best to make a 'different' game, at that time, where it isn't just about fighting enemies, collecting items or even managing a farm! It's about a whole world where 'YOU' may choose what to do, and you are the only person responsible in making from your playing a game of yours! 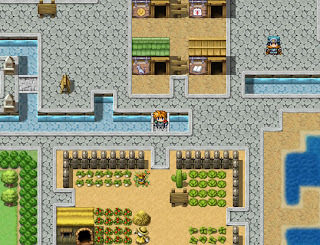 That was essentially my point of view, and I worked hard onto it, so I started by using the resources I could get easily from the internet, like pictures and animated characters, then I used those to create other resources personalized to the game, like adding some animations to a character or making many clothes/aspects of one character... using the pixel-art.